Everyone is welcome to come and help Annie's Star Quilt Guild in their communtity service project. 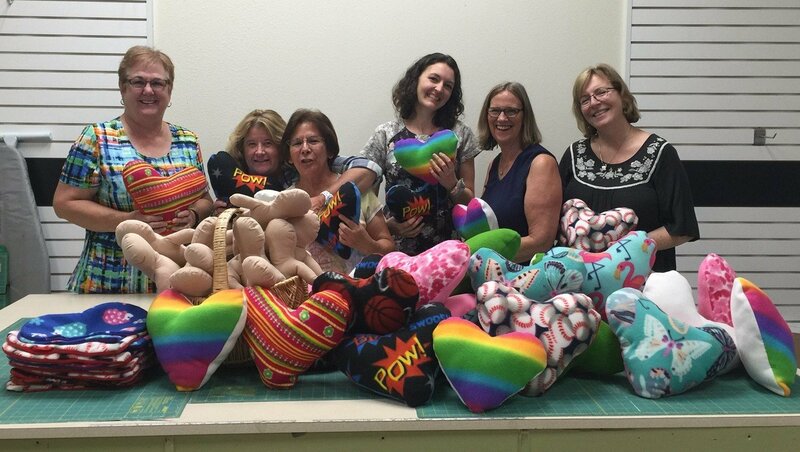 They will be making Heart Pillows to donate to the children at Sutter Memeorial Hospital who are recuperating from cardiac surgery. ASQG will provide the pattern, fabrics and fiberfill stuffing. You can bring your sewing machine and sewing supplies for both machine and hand sewing. If you do not have a machine or wish not to bring it, you may come and help with stuffing the pillows. Drop in for a couple of hours or bring a lunch and stay the whole time. These pillows are fast and easy to make and help bring health and happiness to children recovering from heart surgery.